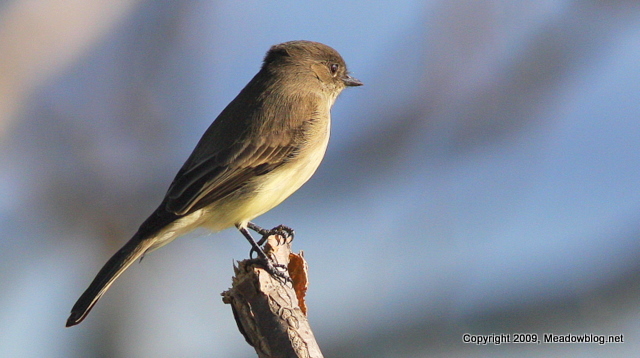 Now That’s (an Eastern) Phoebe! Hangin' along the Transco Trail at DeKorte Monday afternoon, in fall plumage. In advance of our walk at the Ridgefield Nature Center tomorrow (Tuesday), which features a new trail for us to explore, Karen Riede passes along this photo of a mystery bug. 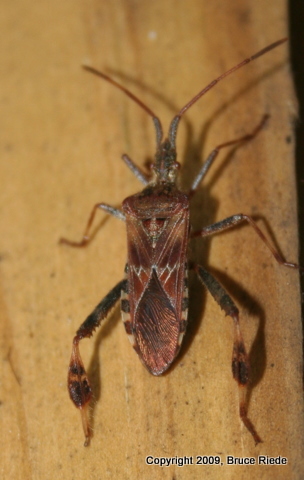 Our first thought was "stink bug," but it didn't quite fit the description. In the meantime, here is a link to an earlier post that gives details about tonight's Meadowlands Commission talk at the Ridgefield Library and tomorrow's nature walk at the Ridgefield Nature Center, complete with directions. And yes, we'll stop and see the Monk Parakeets (below) who live about a half-mile from the nature center, the former site of the Great Bear Water Co.